Written by Charles on October 6, 2018 in Blog. It’s no secret that the food of a place can make or break its appeal as a destination. 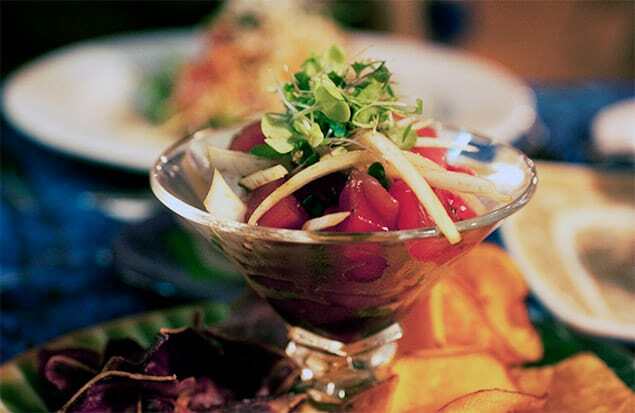 Thankfully, Hawaii is a foodie oasis. Aside from our year-round growing season, our local cuisine is an eclectic blend of Asian (Chinese, Japanese, Korean, Vietnamese, Filipino), Portuguese, American, and Hawaiian influences. 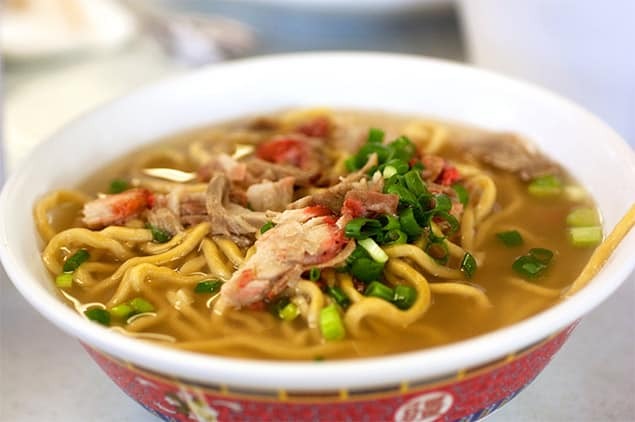 Saimin is basically Japanese ramen with a Hawaii twist. The noodles contain wheat and egg (versus just wheat for ramen), and are served in lighter-colored dashi broth. Some of our toppings are different, too, such as Portuguese sausage, sliced scrambled egg and spam. 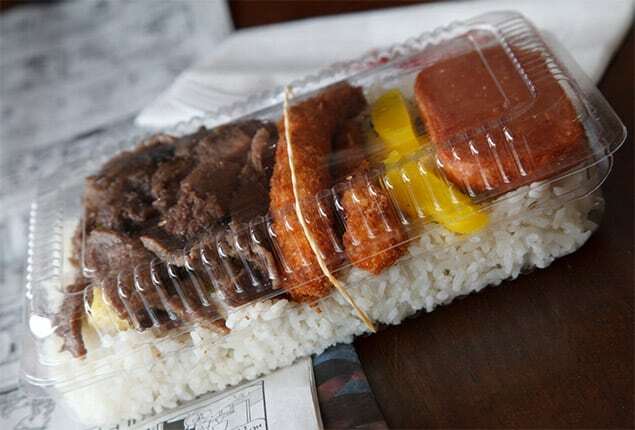 A bento is a Japanese meal served in a box, or series of boxes. Similar to bentos in Japan, Hawaii bentos usually consist of rice, meat (like teriyaki chicken) and pickled vegetables. What’s cool about bentos in Hawaii is you can find them in most supermarkets, where they make a quick grab and go meal. Poke (pronounced “po-kay”) hardly needs an introduction since it’s now a worldwide phenomena. But if you don’t know, poke is raw fish — usually ahi/tuna — that’s been cubed and seasoned with tasty ingredients like shoyu (soy sauce), sesame oil, limu (seaweed), spicy sauce, sea salt, and more. A “poke bowl” includes poke over a bed of rice. 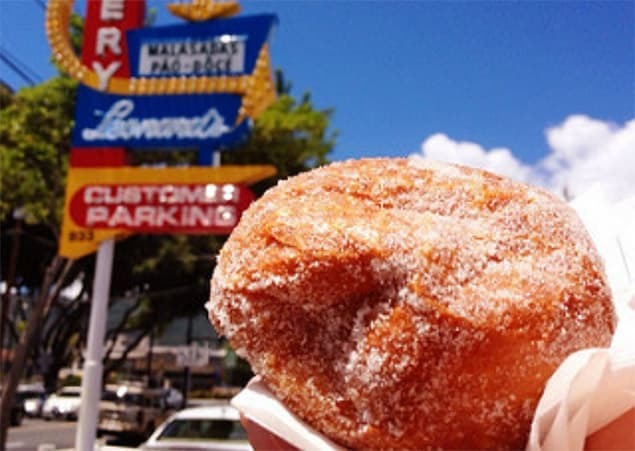 If you haven’t tried a fresh hot malasada, do it ASAP. A malasada is a Portuguese donut (without a hole) that’s rolled in sugar and best eaten warm. OMG you need to trust us on this one. Tip: if you’re on Oahu, get your malasada at Leonard’s Bakery. Many cultures offer a frozen treat of some kind. 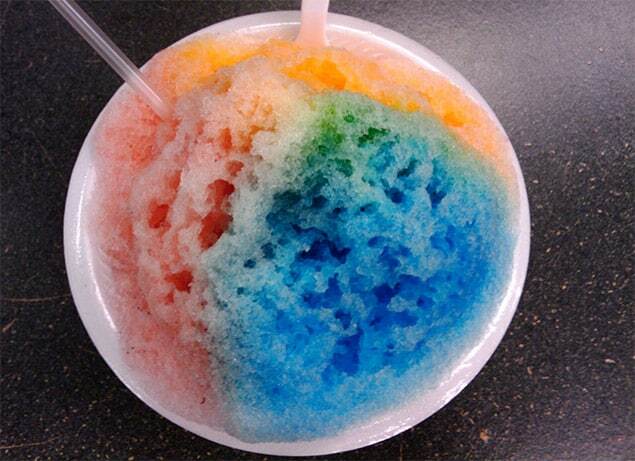 Hawaii offers shave ice, which is ice that’s been “shaved,” or ground and topped with yummy syrups like strawberry, guava, coconut, mango, lime, and many others. Read our blog post if you’re on Maui and on the hunt for good shave ice. If you’ve ever tried a Chinese steamed bun (“char siu bao”), then you’ve come really close to having a manapua. Our island version is nearly identical: a slightly-sweet, white steamed bread filled with red char sui (barbecue pork). In Hawaii, you often see variations filled with chicken curry, black beans or just vegetables. 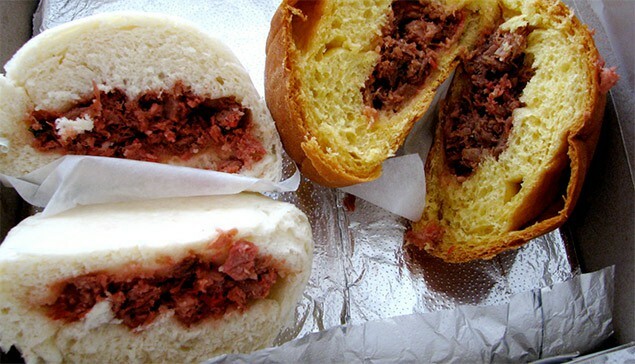 Some of the best manapua can be found in Chinatown in Honolulu. 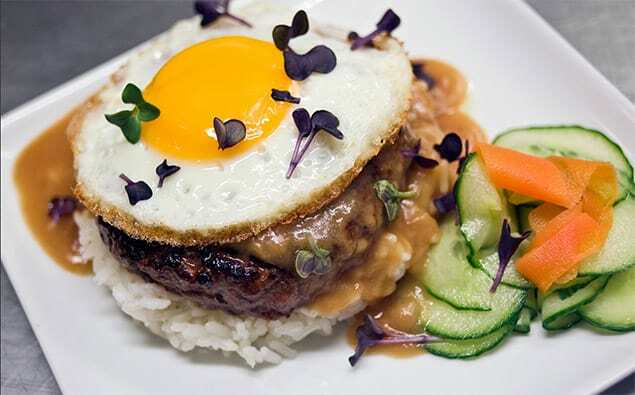 Simple: rice, hamburger patty, 1-2 fried eggs and gravy. Not the healthiest option on the menu, but certainly one of the most tasty and filling if you’re going “all out.” The loco moco was invented in Hilo at a popular locals spot called Cafe 100, where I used to eat as a child. 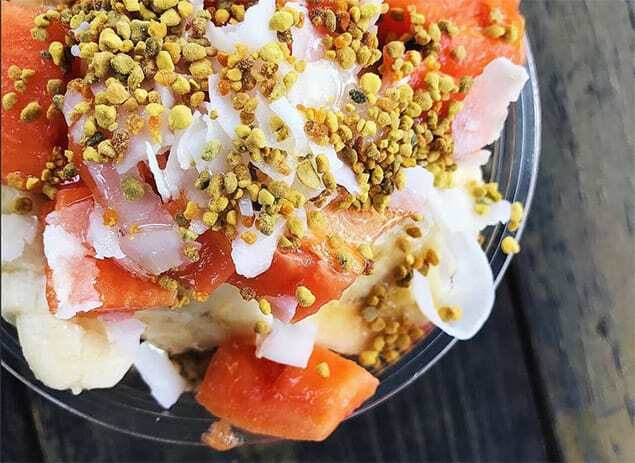 At the other end of the healthy food spectrum is the sweet and energizing acai bowl, a sweet frozen Brazilian treat made up of sweetened acai berries that have been blended into a sweet silky slush. You can then top your acai with granola, honey and fresh fruits like banana, mango and blueberries. 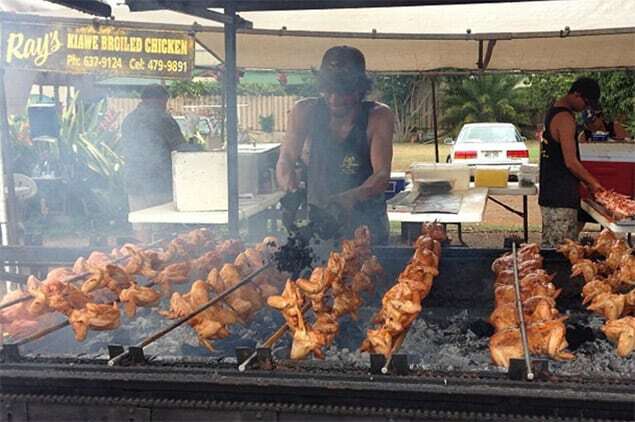 Huli huli chicken is rotisserie chicken done Hawaiian style. And by Hawaiian style we mean it’s cooked over kiawe (mesquite) wood and topped with “secret” huli huli sauce. FYI, huli means “turn” in Hawaiian. I’m not really a meat eater, and I’m not a big fan of sausage. But there is one exception — Portuguese sausage. When it’s fried and served over rice it’s so delicious, and just a little spicy. 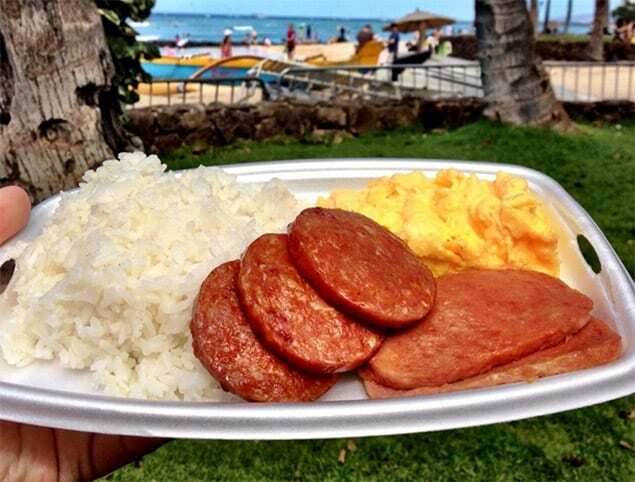 If you’re into breakfast, Hawaii has a popular dish called, “Portuguese sausage, eggs and rice,” and it’s available at McDonalds! 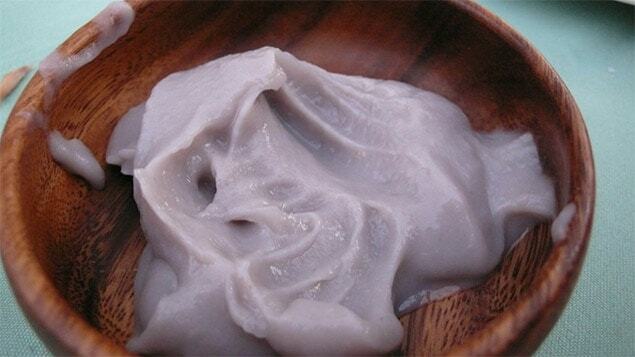 It may look strange (picture purple goop), but poi is a fabulous food made from mashing or pounding the root of the taro plant, and adding some water. Poi is a healthy starch and often the first food parents feed their baby. There is no way to describe the taste, so best you take the leap and try it for yourself.